An interesting documentary that was shown on a cable station not too long ago. Directed by Richard Schickel, a film critic, and director, whose specialty is to chronicle screen luminaries. The director, whose love for films shows in his other pieces presents his viewers people whose work, and lives merit examination. Mr. Schickel's subject on this 1997 made for television documentary is a man with a long and rewarding film career, both as a performer and as a canny director: Clint Eastwood. If there is a man that deserves this loving tribute is Mr. Eastwood. He has been involved in the film industry for quite a while. 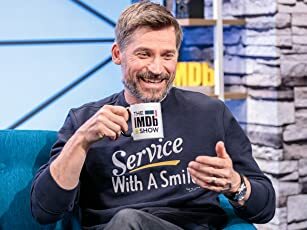 He is a talented man that has given movie fans the best of himself. 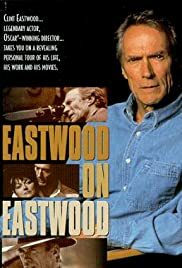 The documentary follows Mr. Eastwood in chronological order from his early television success in "Rawhide" to the 'spaghetti westerns" that follow, to his Hollywood career in front, and behind the camera. Mr. Eastwood love for music, and jazz, in particular, gives the viewer an inside of the man that has successfully incorporated this truly American expression in song to most of his work. The film is narrated by John Cusack. One can highly recommend it to Mr. Eastwood fans for the treat it is to sit through its short 68 minutes running time. Kudos to Mr. Schickel for his own take on one of the most original and talented men of the world of films.